A world of excitement awaits at the luxurious Le Floride campsite. Come and enjoy a holiday of sun, sea and action in Le Barcarès, just 100m from the beach and iridescent waters of the Mediterranean! 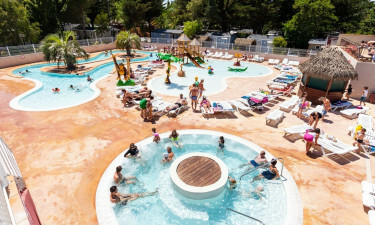 The luxury camping site of Le Floride, in the beautiful region of Languedoc-Roussillon, is an idyllic location to bring the whole family. If your family shares a love of sport, they are in for a treat at Le Floride. The 3000m² pool complex has an indoor heated pool and fresh water lagoon pool. The heated paddling pool with its water games will delight young children, whilst the enormous water slides and chute are a thrill for the older ones. The heated submerged beach and bubbling Jacuzzi are perfect for unwinding. 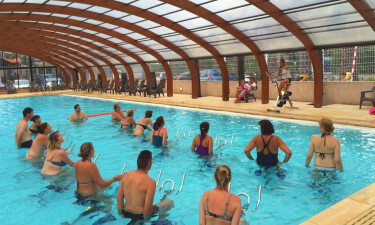 The pool complex also hosts a wide variety of aqua fitness classes for all ages. 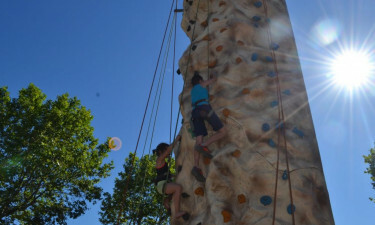 The highlight of the children’s play area is the climbing wall, where they can hone their mountaineering skills under expert supervision. Clubs for children and teenagers ensure all ages are engaged in fun. Adults can join the action on the multi-sport courts, work out in the gym, or become expert marksmen on the archery range. Various aerobic and fitness classes will keep you in shape and leave you feeling energized. Le Floride’s location between the beach and the Pyrenées is a gift to those who love water sports. From water skiing, windsurfing and kitesurfing off the beaches of Barcarès to the adrenaline rush of canyon rafting and kayaking, the area is a paradise for all ages and abilities. Hiking and mountain bike trails are the perfect way to fully appreciate the unspoilt natural environment of the area. Alternatively, the beach is also the perfect place for just relaxing and doing nothing at all! Perpignan, in the shadow of the Pyrenées, is famous for its medieval architecture. The Cathedral of Saint-Jean and Palace of the Kings of Mallorca are 2 fine examples. The ancient port of Collioure inspired artists such as Picasso and Matisse with its beauty. Castelnou dates from the 10th century, and is considered one of the loveliest villages in France. The Restaurant du Floride has a terrace where you can enjoy the evening`s entertainment over a meal or drinks. There is also a snack bar beside the pool complex. 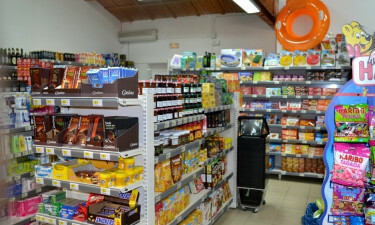 The Vival supermarket caters to all your luxury camping needs.